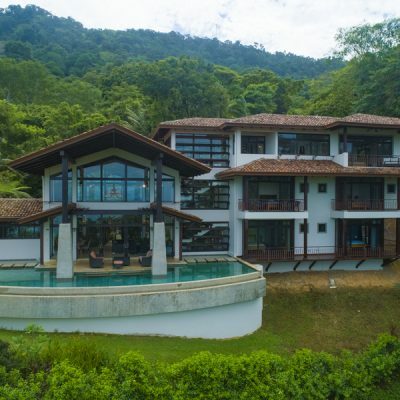 Dominical Costa Rica has some of the most beautiful homes up for sale right now. 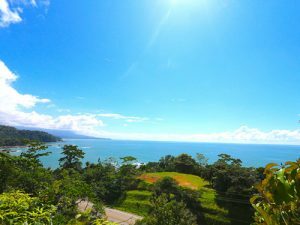 They offer gorgeous views, privacy, and all the space you could want in a home or condo for sale in Dominical Costa Rica. There are homes, condos, and even beachfront properties available right now. see our recent listings here. 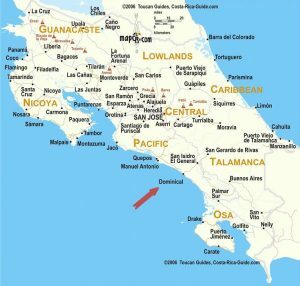 Dominical is in the South Pacific region of Costa Rica, approximately 27 miles south of Quepos. The area is known to be a very laid-back town where you can see many plantations, estuaries, and marshes that are populated with various different types of wildlife. 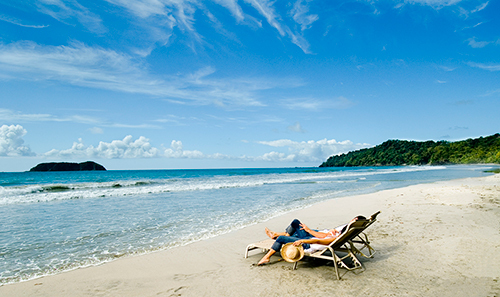 Dominical Costa Rica has so much to offer where lifestyle and general living are concerned. The beach, weather, and property prices are just a couple of reasons as to why moving here has become so popular. Why live in Dominical Costa Rica? 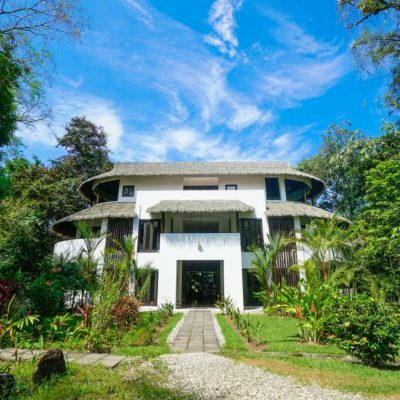 If you’re looking to make the big move, but want to find out what Dominical has to offer first, you’re definitely in the right place. It has so much to offer for those from all different walks of life! 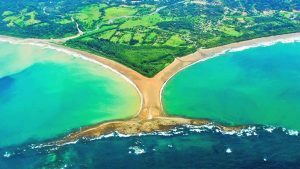 Dominical has been recognized as being the top beach and sun vacation destination in all of Costa Rica, where it’s known for the multiple paradise landscape areas. 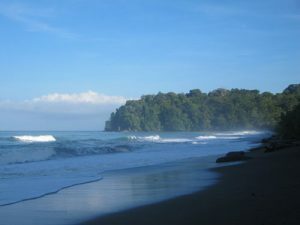 Playa Dominical, for one, is one of the most popular choices for holidaymakers and retirees. 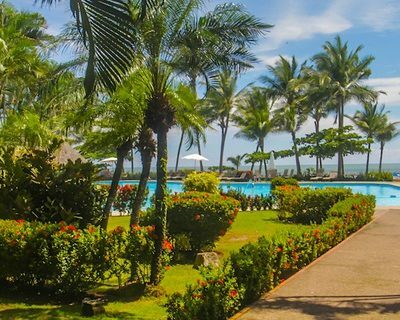 Playa Dominical boasts lush greenery, white, sandy beaches, tropical vegetation, and an abundance of fauna paired with a spectacular ocean view. However, there is more than just the beaches and relaxation aspects here. The local life here is just as bountiful as the rest of the area. The Caldera Highway’s opening from San Jose has cut the travel time to the South Pacific of Costa Rica in half. This is to ensure that visiting tourists, locals, and retirees can get around much faster. Playa Dominical is now only a three-hour drive from San Jose, which is the capital of Costa Rica. Notable improvements to the South Pacific’s infrastructure, as well as the introduction of new facilities which include the modern hospital de Osa within the town of Cortes, have added further value to real estate here. This makes it easier for locals and foreigners in Dominical to seek aid from the multilingual staff, which includes 23 specialist departments. During the dry season, which starts in December and ends in April, the humidity reaches up to 75%, an average day temperature of 88-degrees F, and an average nighttime temperature of 71-degrees F.
The rainy season, which starts in May and ends in November, is not much different where humidity and temperatures are concerned, but they are raised slightly. The humidity, for example, can reach up to 90% during the months of July, October, and December. While the weather may seem a tad harsh, it’s actually very easy to live in, especially if you’re close to one of the many beaches. 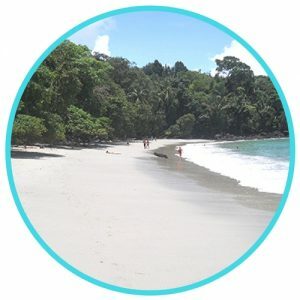 Dominical is full of local beaches and places to go swimming in general that are some of the best in the country. 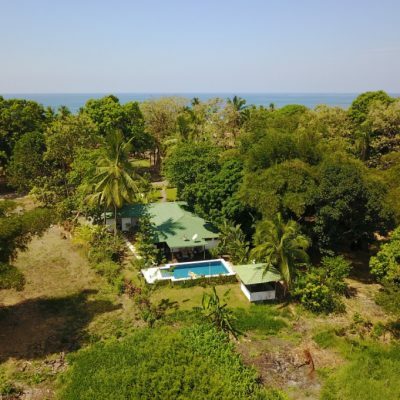 You can find beachfront homes all along the shore here, with multiple homes for sale in Dominical Costa Rica currently up for grabs. 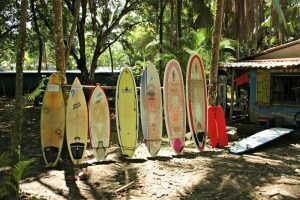 Playa Dominical is a small slice of heaven for those who love to surf. The strong riptides make for some awesome waves along the 4km of beach, but swimming should be done closer to shore. Smaller beaches can be found throughout Dominical that are better suited for swimming, such as Punta Dominical, which is located on Playa Dominicalito’s southern end. Here you will find lush areas of green that go perfectly with the gorgeous sea water. Nauyaca Waterfalls is a great area for swimming, deep sea fishing, kayaking, scuba diving, and a lot more. 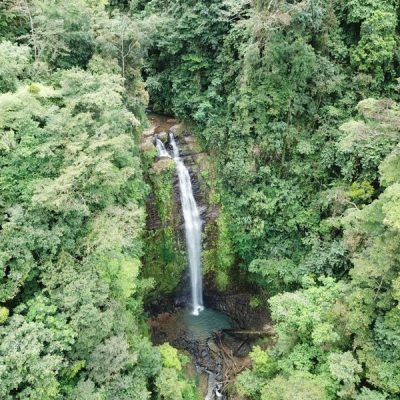 Nauyaca is one of the best waterfall spots in all of Dominical and is a great place to spend the day. 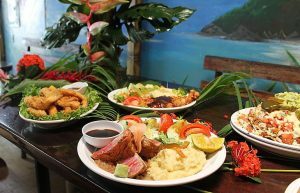 Dominical is famous for their delicious seafood, with local catches including tuna, Mahi-mahi, and snapper, to name a few, that are caught and cooked fresh on a daily basis. Blackberries, tomatoes, lettuce and other vegetables and fruits are served fresh in restaurants around the town, as well. The Surf Shak is located right beside Playa Dominical and is the best spot to grab a bite after a day of surfing. 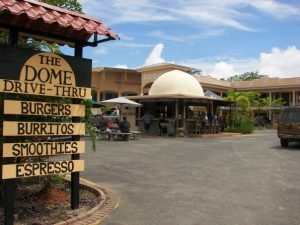 They serve up large portions of traditional Costa Rican cuisine and even have some other items on the menu that cater to all tastes. It’s very easy to find a local Soda here, considering they are littered all over the place and always have something fresh to offer. Some offer a style of a buffet line for customers, while others sell by the plates. 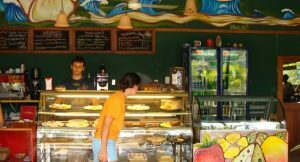 Cafe Delicious is one of the best cafes and bakeries in all of Dominical. They serve cappuccinos and pastries, among many other treats and drinks, and serve lasagnas, sandwiches and more during their lunch hours. Rio Lindo is directly next door, where you will find New York-style pizzas, a bar atmosphere to enjoy sports and a drink, and have traditional American favorites on the menu. Tortilla Flats is a local and foreigner favorite. It’s fantastic for any time during the day, is located directly on Playa Dominical, and always have an amazing special written on their menu. Their coconut encrusted Mahi is one of their most popular dishes. There is an endless amount of exciting eco tours that you can take advantage of here, including whale watching in the Marina Ballena National park, bird watching in Corcovado National Park, hiking in the South Pacific rainforest, canopy tours, and even booking a fishing charter. One of the best things to do in Dominical would have to be going on the tour to watch the whales and dolphins swim and jump into the air. Imagine watching a 40-ton Humpback whale breach the surface and jump into the air, crashing down into the waves and making a huge splash. It’s a beautiful sight that no local or foreigner should miss in Dominical. The jungles that surround Dominical and along the Costanera Sur that keep small beaches, rivers, and waterfalls a secret are some of the best places to be if you love to swim and explore waterways. Caño Island is a great spot for snorkeling and scuba diving, where you can see an abundance of marine life. The island is famous for the multiple artifacts from pre-Columbian times that were found there, as well as the research that goes on from biologists studying the local coral that lives there. 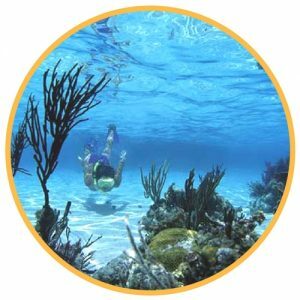 You can see dolphins, manta and eagle rays, turtles, white tip reef sharks, and multiple different species of fish, including pufferfish, parrotfish, jacks, and trumpetfish. Bird watching is also a very popular pastime here. The farther south you go, the more you’ll see. Birds of prey, tanagers, Fiery-billed Aracari, Black-mandibuled, toucans, and other species of birds can be seen if you go bird watching in Oro Verde, Hacienda Baru, and Rancho la Merced, which are some of the best spots. These areas are either in or very close to Dominical and Uvita. Locals and tourists alike both take great joy in hiking to nearby interest points, including the Nauyaca Waterfalls, especially. It’s around 8 miles from Dominical on Hwy 243. You can participate in horseback riding here, as well. Dominical is a fantastic place to live. 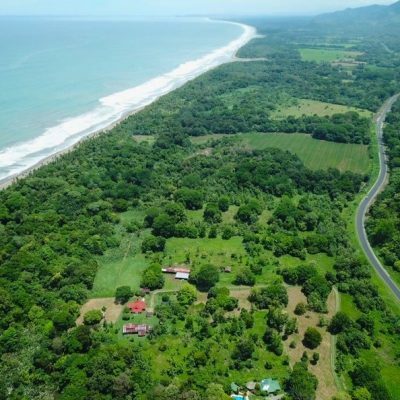 Here you will find a very large variety of property available to you, including houses, condos, ranches, and vacant lots for sale in Dominical. 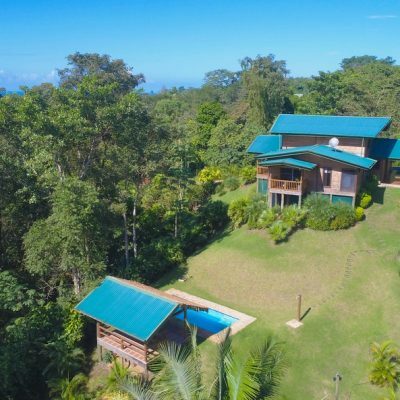 We have property up for sale with rainforest, mountain, beachfront, and city locations, with any type of home you could think of up for grabs. If you prefer a location that is very private, you can get a 4 bedroom and 2.5 bathroom with a pool and all the solitude you want for $380,000. You still get an ocean view, too! There are also businesses up for sale, as well. For example, you can purchase a luxury hotel that is a big income producer with a private, exclusive setting for $2,500,000. You can see the mountains, the jungle, and the ocean all in one spot. 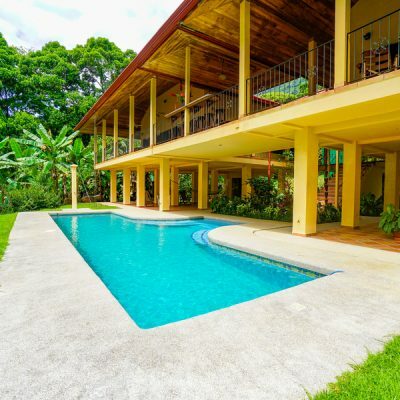 Overall, Dominical has one of the widest property selections in all of Costa Rica. Nowhere else could you buy a luxurious, exclusive hotel and a plot of land at the same time. 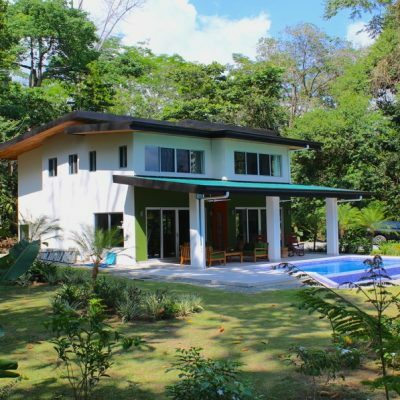 Purchasing property on Playa Dominical is one of the best places to live in this region of Costa Rica. 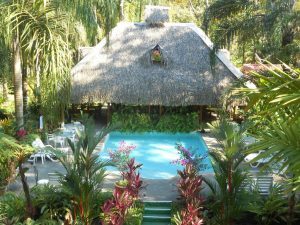 Beachfront Dominical Costa Rica property sells very fast, and for a very good reason. The water here is great for surfing, so those who love to surf and want to move here would be living in a surfer’s paradise. Living on a beachfront property here could undoubtedly be your dream home, and being so close to the ocean will make you feel as if you made the best choice of your life. You could own a new, income producing, private home that can a spectacular view of the ocean for $750,000. It includes 3 very spacious bedrooms and 4 bathrooms. 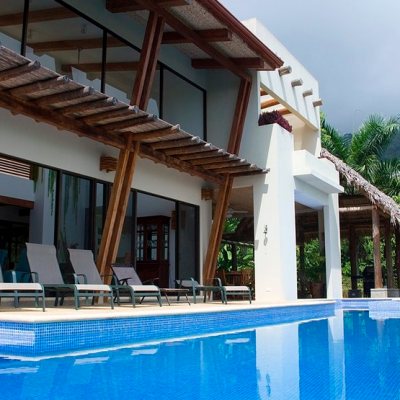 This is just one of the many beachfront homes in Dominical for sale in Costa Rica. While the properties currently up for sale may not be as cheap as you’d like them to be, you can easily make your money back. Having beachfront property in Costa Rica, especially on Playa Dominical, is also a fantastic opportunity to actually generate income. In fact, many choose to rent out their property while they are traveling, and especially if they only come to the region on vacation a couple of times a year. You can opt for either short-term or long-term rentals. You make the added income while your tenants will enjoy elements such as fruit producing trees on the premises, being close to the beach, and hikes to the beautiful area waterfalls. There are many unique beachfront condo communities here that offer solid buildings, gorgeous landscaping, and a very all-inclusive concept that provides tenant maintenance, full rental management, and security for your safety and well-being. It’s an area that is known for the native wildlife, and has many trees, plants, and even animals on the grounds and surrounding areas that will wow any new resident. Many who choose to take the condominium route for living will experience enchanted tropical walks, and a place to stay permanently of call as a vacation home. All are well maintained throughout the year. Spacious rooms, 4 to 4 bedroom floor plans, and community-shared and private pool areas are some of the amenities that you will find within these developments. 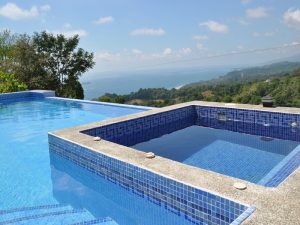 We list only the best and most recent condos for sale in Dominical Costa Rica, and any questions you may have can be answered by the listing owner or one of our agents, who will be happy to assist you. Uvita de Osa is a smaller village located in southern Costa Rica. 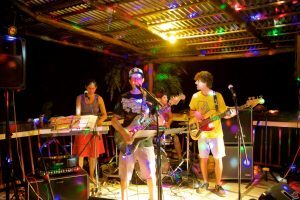 Annual music events, including the Best Fest & Envision Festival, are held here, while Uvita as a whole is a notable region for being home to the Cola de Ballena and being the closest village to the Marino Ballena National Park. 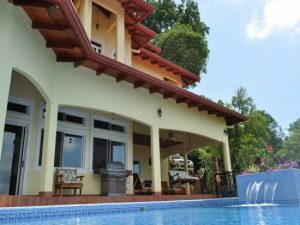 Why Live in Uvita Costa Rica? Living in Uvita is an absolute dream. Right next to the Whale Coast and a music lover’s village, the property here is sure to impress. The average temperature in Uvita ranges around 84-degrees F. The hottest temperatures come in April, where it reaches up to 86-degrees F. The coldest month is September, where the average temperature sits around 80-degrees F flat. The weather in Uvita doesn’t change much out of the 80-degree range, but it’s still a very comfortable climate to live and play in year round. Costa Ballena, Uvita has some of the best local food spots you’ll ever try in your life. While most remain traditional or keep items from other countries, some bars and restaurants go to extra mile to attract customers. Bar Jolly Roger, for example, is a pirate-themed bar that serves up food that never ceases to get compliments. Their specialties include their burgers and wings, which locals and foreigners alike are constantly raving about. They have over 20 different flavors for their wings, have an open-air restaurant, and have a vast menu that everyone will enjoy. The Dome Drive Thru is also another awesome place. It’s very different from what you may be thinking of when you hear “drive thru”. It’s all locally made food that is fresh, delicious, and great for on the go. You can even come inside and enjoy a drink, as well. They serve a wide selection of burritos, their famous Solo Bueno smoothie, and have awesome coffee. 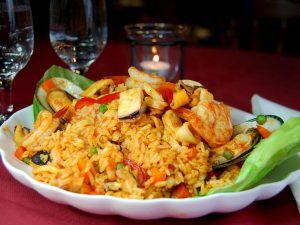 La Palapa is an upscale yet incredibly laid-back restaurant. It incorporates the 4 elements, being earth, fire, wind, and water, into their design, and has a menu that is packed with international flavors. From escargot to beef carpaccio and smoked fish tartar, you’ll feel like you’re in a 5-star restaurant. Waterfront fun and adventurous activities are literally aplenty here in Uvita. There are so many fun things to see and do here that it can be hard to narrow down what you’d like to do in a single day. For one, the beaches and the forests are impeccable and always a great choice. The Whale Tail in Uvita, which you can witness when the tide is low, is always an interesting sight. It actually looks like a tail of a real whale! Other than that, swimming and hiking through the various beaches and forests is a great way to spend the day. 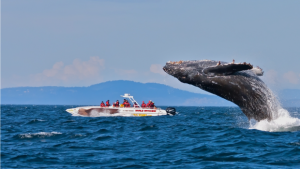 The Costa Ballena is known for the whales, where you can watch different species of whales, including the Humpback whale, jump and splash around. The false killer, pilot, and Bryde’s whales can also be spotted here, as well. 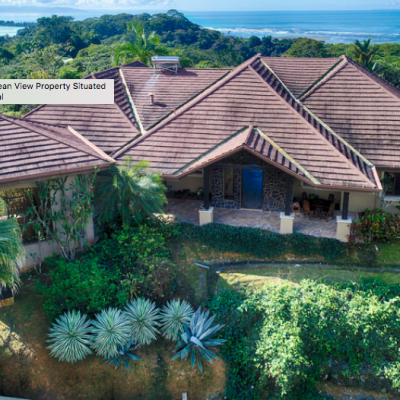 The real estate in Uvita Costa Rica is absolutely magical. While the properties for sale are not always aplenty, the ones that are up for sale are must haves. 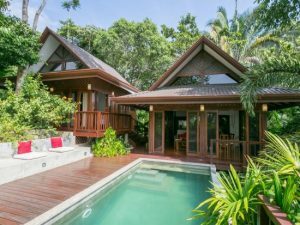 For example, how would you feel about purchasing a Makara two-story villa in Uvita for only $549,000? Or, maybe you’d prefer to buy a plot of land that has easy access to the ocean with an incredible view to build your dream home on for only $110,000? Uvita real estate includes a lot of income producers, as well. For example, you can purchase a luxury hotel for $2,500,000 and start a business in paradise. 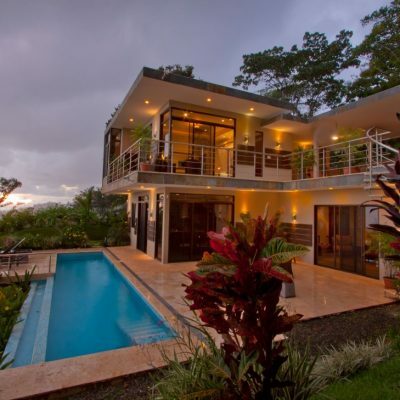 We only list the best and most current Uvita Costa Rica real estate, where we have homes for sale and much more. There are many unique beachfront condo communities here that offer solid buildings, gorgeous landscaping, and a very all-inclusive concept that provides tenant maintenance, full rental management, and security for your safety and well-being. Many who choose to take the condominium route for living will experience enchanted tropical walks, and a place to stay permanently of call as a vacation home. All are well maintained throughout the year. Making a big move to any country is a big deal, so you probably have a couple of questions about the process, the area you’re moving to, etc. If you do not find an answer to your question below, feel free to contact any of our agents and they will happily answer any and all questions you have! Are there zoning laws in Dominical and/or Uvita? Yes, there are zoning laws within all of Costa Rica that you must follow. However, due to new changes, it’s best to speak with one of our agents, who will be able to give you all of the information that you will need. I want to be closer to everything, should I buy a house or a condo? If you want to be closer to stores and everyday shopping, buying a home rather than a condo is your best bet. They are generally closer to everything that you will need on a daily basis. The homes that we currently have up for sale will give you more insight into which exact property will suit this specific need better. However, Dominical has more locations that are closer to both homes and condos compared to Uvita, so it’s a definite choice for being closer to what you need. Should I buy or build my home? 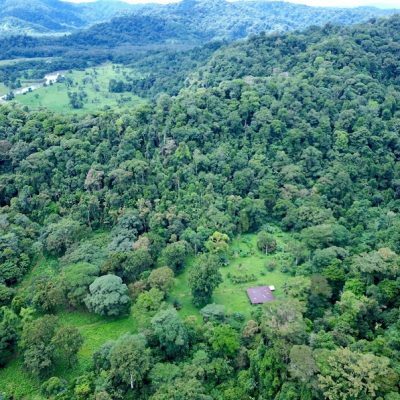 Uvita, especially, has plenty of lots for sale that would be great to build a home on, but only if you can be dedicated. 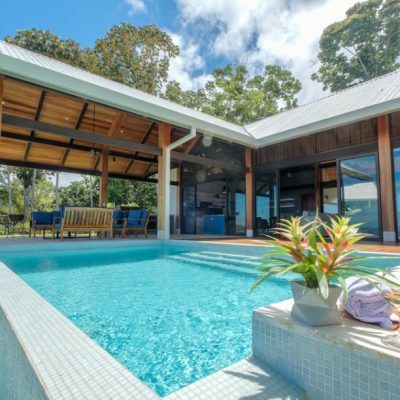 Unfortunately, there are a lot of homes that are only half-built around Costa Rica, so ensure that you know what kind of commitment you are making before doing so. Should you need to get in touch with builders to help you in the construction process, we can help you with that, too! Are there capital gains tax in Dominical and/or Uvita?No, the government of Costa Rica does not collect on capital gains tax anywhere in the country, so you do not have to worry about it. Dominical Costa Rica is a magical, beautiful place with so much to see, do, and experience. 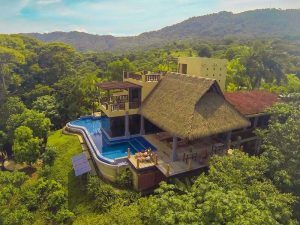 The Dominical Costa Rica real estate is constantly growing day by day, so purchasing property here is definitely one of the best decisions that you could ever possibly make. 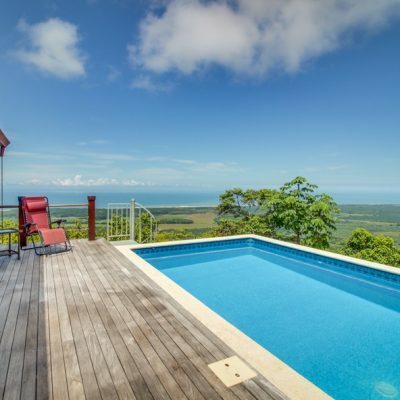 We cover all of the latest real estate listings across Costa Rica, not only in Dominical, and can help you find a new home wherever you wish to go!